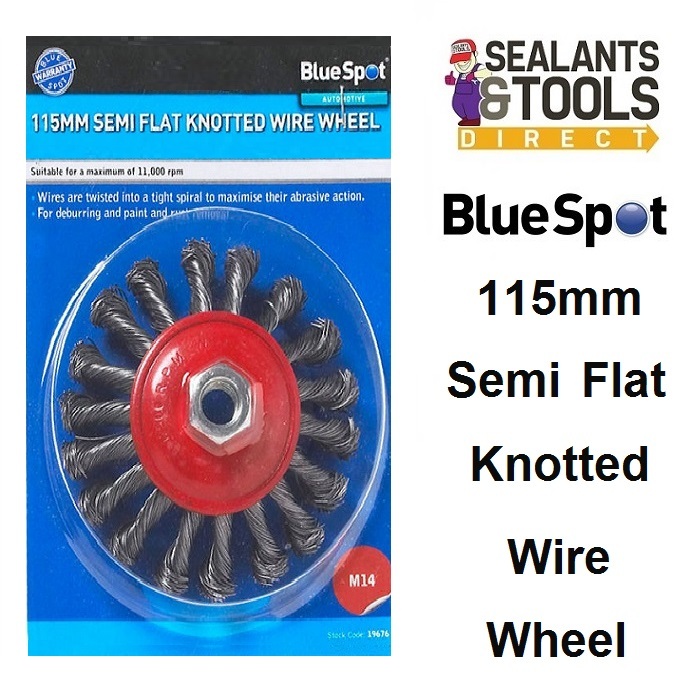 The BlueSpot 115mm M14 Semi-Flat Twist Knot Wire Wheel Brush is manufactured from hardened steel wire for increased durability. Twisted steel filaments provides quick and efficient cleaning action. Ideal for removal of dirt, paint, rust, scale and more. Suitable for use with most power tools. 115mm 4.5" Semi Flat cupped Wheel. Wheel allows quick removal of rust and paint. "Safety Glasses and gloves must be worn when using this product"